The usual course for most presidents is that they lose popularity after they take office and finish their presidency less popular than when they began. Just seven months into his presidency, Barack Obama has lost the confidence of the American people, according to a Washington Post-ABC News survey released last week. It found that just 49 percent now believe Mr. Obama will make the right decisions for the country, a drop of 11 points from the 60 percent who believed in him at the 100-day mark in April, a little more than 100 days ago. While the poll lists the president’s overall approval at 57 percent, which is 12 points lower than it was at its high in April, it shows that 53 percent disapprove of the way the president is handling the budget deficit, and the healthcare and cap-and-trade issues are taking a toll, as well. Barack Obama was elected because of his message of hope and change, and his overall popularity is holding up fairly well, because people like him. 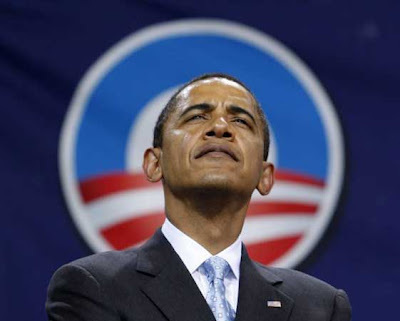 But when it comes to job approval, evaluating how he’s really doing as president, Mr. Obama is in trouble. His radical leftist agenda is wildly unpopular with most people, once they learn the details of his proposals. The country is likewise not enamored of the president’s incessant campaigning – does he not realize that he won the election? After he promised better government, the cronyism and lack of transparency in his administration disappoints them. And the Chicago political tactics Mr. Obama brought with him to Washington are the sort of charm that most Americans don’t appreciate. But to make a bad situation even worse, in the face of spirited and wide-spread opposition to his initiatives, Mr. Obama is acting badly. The people who disagree with his position on cap-and-trade and health care reform are everyday Americans who simply don’t like what he is selling. Instead of slowing down the frantic pace he set to ram these measures through, and proceed in a deliberate and respectful fashion to hear objections and craft policies that respect those opinions, he has taken to demonizing the opponents, calling those who disagree with him names, denouncing them for employing "scare tactics" and "wild misrepresentations," and wanting them to just shut up. In his haste to solve the country’s problems, the president has demonstrated poor leadership and produced few positive results. He campaigned on health care reform, then allowed Congress to design it, and ceded control of the issue. The health care reform measures are regarded as radical and unacceptable by a large portion of Americans, and they believe these measures will dramatically increase the cost of government. Likewise, the cap-and-trade bill that the president supports threatens established energy industries and promises hefty increases in spending for all Americans. People find these and other things intolerable, hence the president’s slipping popularity and job approval ratings. Barack Obama had a unique opportunity as the first black President of the United States. If he were less ideological and less partisan, he could work to tune up the health care system, instead of trying to completely remake it. He could put into effect some sensible policies to relieve our dependence on foreign oil by opening up areas for domestic production while he created incentives for developing alternative energy technologies. He could put into effect tax cuts that would lighten the load on businesses, encouraging the creation of new jobs and the rehiring of laid-off employees, and speed rather than impede the economic recovery. He could have been a hero. Instead, he tried to do everything at once, and do it before anyone had time to even find out what was being done. He tried to do more than he could do, and more than he should have done. And as a result, he has failed, so far. Did President Obama badly over-estimate his own popularity and abilities, or did he badly under-estimate the American people’s resistance to more big government control over their lives? Either way, he has badly misjudged the political atmosphere. And one result of that bad judgment is that today the country is more divided, and more raucously divided, than it has been for decades. Is this the change so many hoped for? The President and his supporters in Congress are hostile to their constituents’ genuine objections to these radical programs, and arrogantly regard Americans who disagree with them as annoying rabble rousers hindering their efforts to turn the nation into something it has never been, nor was ever intended to be. That attitude and their image of America must be rejected.